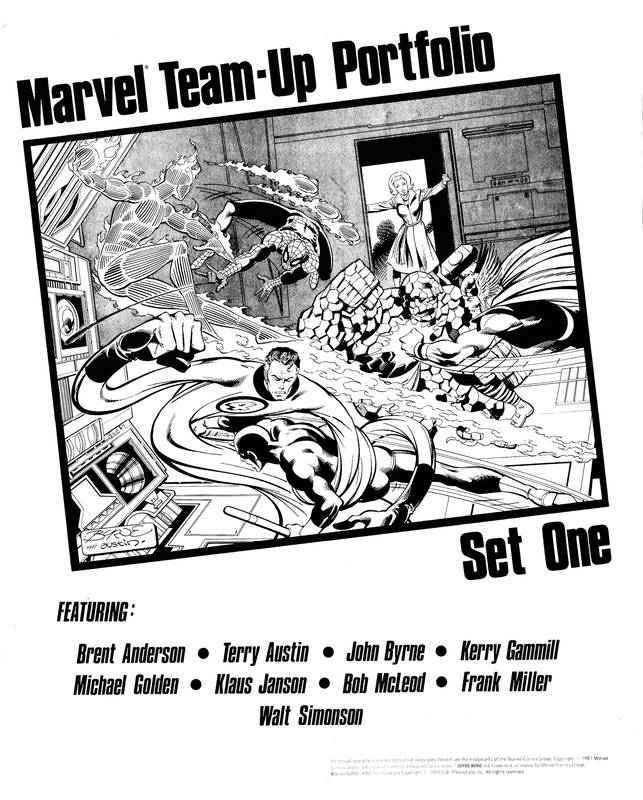 Marvel Team-Up Portfolio, Set One (1981) | 'TAIN'T THE MEAT… IT'S THE HUMANITY! 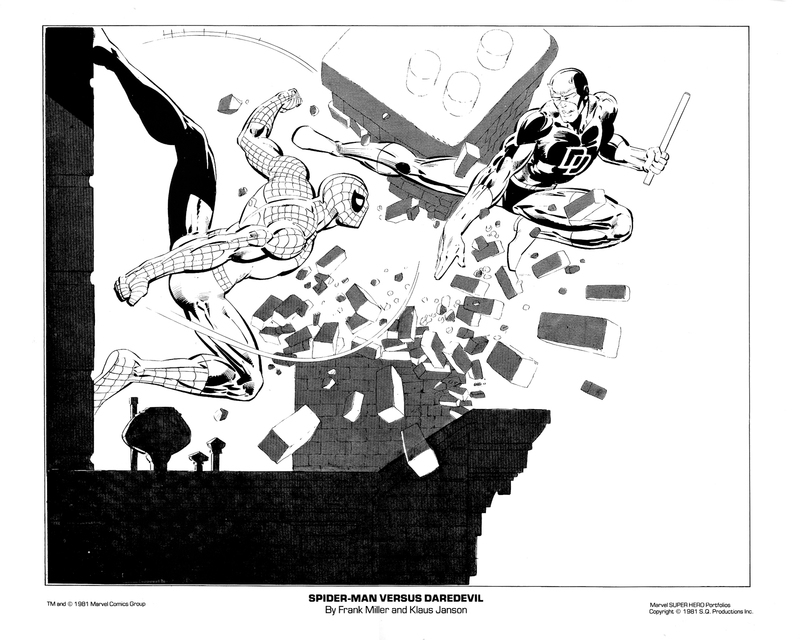 Time for another Marvel Comics portfolio from the early Eighties. 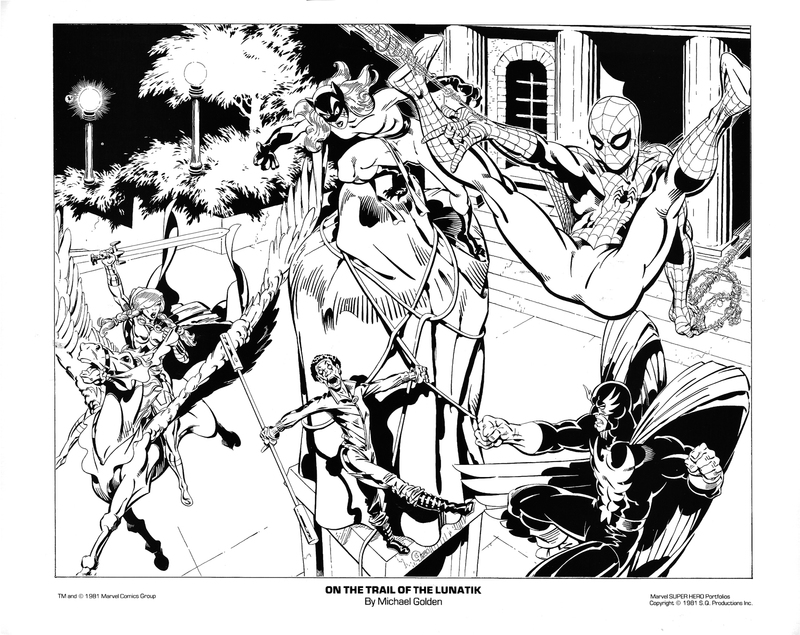 The Marvel Team-Up Portfolio Set One featured six 11 x 14in prints illustrated by some of Marvel’s best known artists and inkers – John Byrne, Frank Miller and Walt Simonson to name a few – and was published by SQP in 1981. The set followed the same basic format as SQP’s previous portfolios but with a couple of differences – these prints are reproduced in black and white and instead of being packaged in cellophane this portfolio shipped in a thick white envelope, similar to those used by professional photographers. Although named after Marvel’s long-running series Marvel Team-Up, a monthly series that paired Spider-Man with another Marvel character, only two of the plates in this set are directly inspired by that title. By Frank Miller and Klaus Janson. Inspired by Team-Up #25, September 1974. 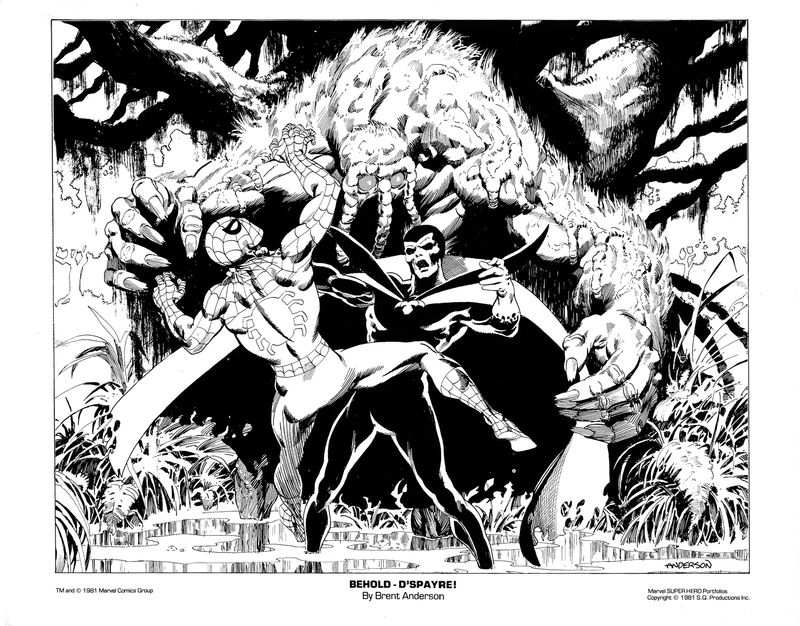 By John Byrne and Terry Austin. Inspired by The Fantastic Four #73, April 1968. Inspired by The Amazing Spider-Man #14, July 1964. 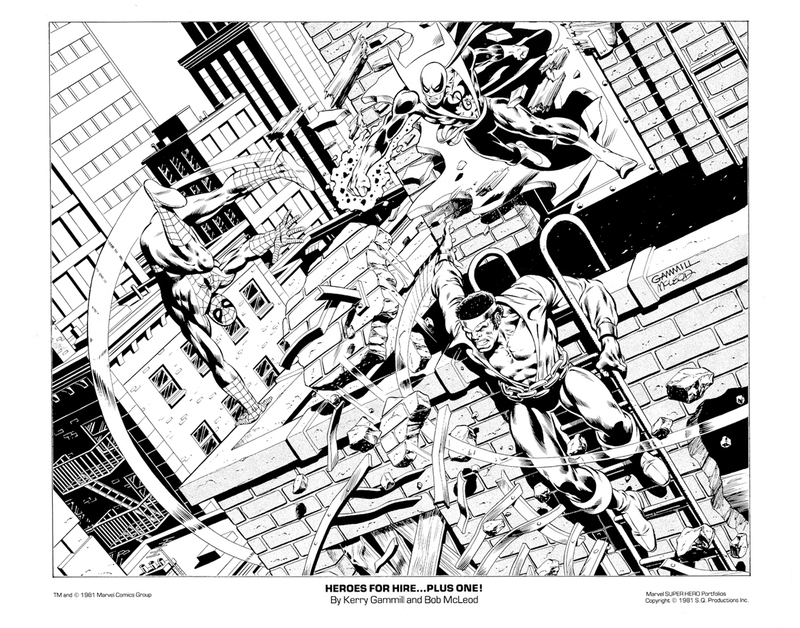 Plate 4: Heroes For Hire… Plus One! 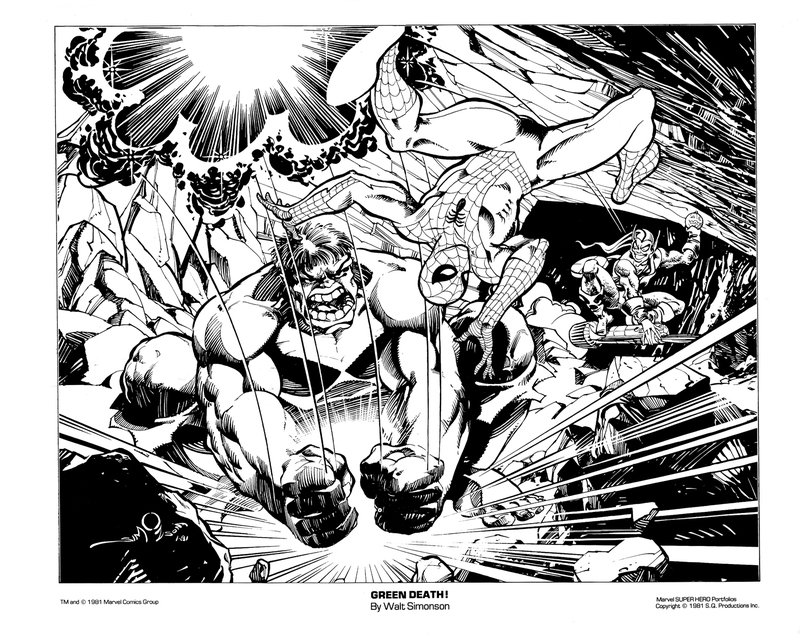 By Kerry Gammill and Bob McLeod. Inspired by The Defenders #61, July 1987. Inspired by Team-Up #68, April 1978. 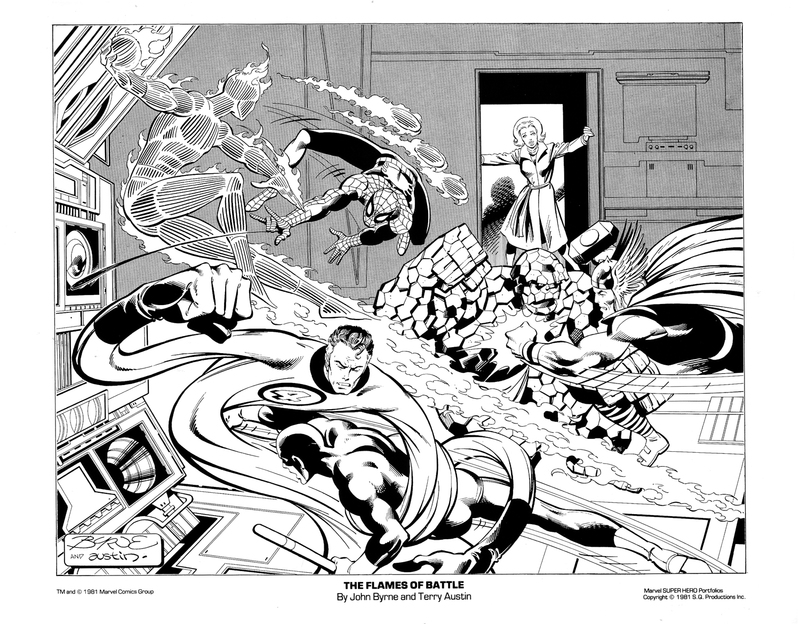 This set must have proved successful as it was followed by Marvel Team-Up Portfolio Set Two a year later, which featured another six plates by some of Marvel’s most popular artists. I’ve looked at that set here.